"We a big company, millions of moving parts… We all work very hard to ensure those moving parts are functioning…" Lionsgate has debuted a second trailer for Peter Berg's Deepwater Horizon, the disaster movie profiling the explosion on the Deepwater Horizon oil rig in the Gulf of Mexico. 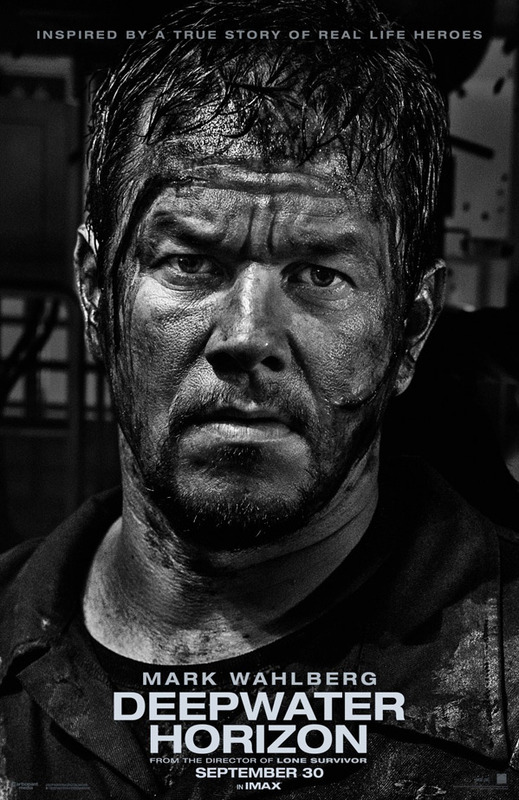 The main focus is on Mark Wahlberg as one of the workers on the rig, along with his girlfriend played by Kate Hudson. The ensemble cast also includes Dylan O'Brien, Gina Rodriguez, John Malkovich, Kurt Russell, Ethan Suplee, and others. This certainly looks like a very patriotic, heroic Peter Berg movie, for better or worse. On April 20, 2010, the world’s largest man-made disaster occurred on the Deepwater Horizon in the Gulf of Mexico. Directed by Peter Berg (The Rundown, Friday Night Lights, The Kingdom, Hancock, Battleship and Lone Survivor previously. ), this story honors the brave men and women whose heroism would save many on board, and change everyone’s lives forever. Mark Wahlberg, Kurt Russell, John Malkovich, Gina Rodriguez, Dylan O'Brien and Kate Hudson star in the true story with a script by Matthew Michael Carnahan & Matthew Sand. Lionsgate will open Deepwater Horizon in theaters September 30th. Wahlberg's eyebrow crease working over time. Lot of true stories that tell no truth these days. Mark Wahlberg is the white Samuel L Jackson. Makes anything and everything. LOL! Oh my god, that is so TRUE!